​A Cafe experience like no other in Australasia! A licensed Cafe with two floors of seating and an outstanding food selection, incorporating theatre baking, chef zone and cake decorating so customers can see behind the scenes. 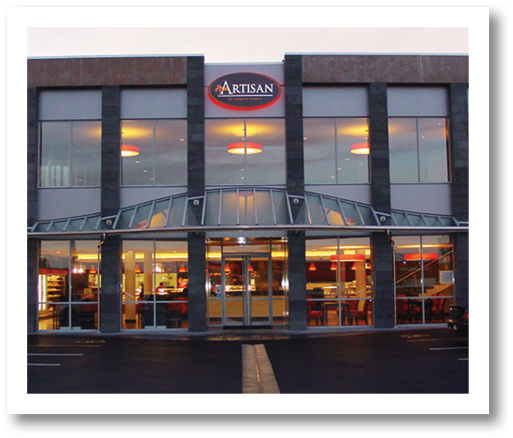 Whether you fancy a sweet treat, a great breakfast or a delicious lunch with a glass of wine, Artisan Cafe has it all! We’d love to see you! Brew Moon Brewing Company is a family owned and operated craft brewery established in 2002 by the current owners. Brew Moon produces a large range of craft beers which are available fresh on tap or in cans. The brewery tap room in the centre of Amberley is open for fresh beer, wood-fired pizzas and platters of local food from 3 pm Wednesday – Friday and from midday on Saturday and Sunday. Flat White Cafe and Bar is located just a short stroll from the shores of beautiful Lake Pegasus. The Cafe offers a great selection of fresh, tasty food, from light meals to savoury and sweet treats and a breakfast/lunch menu available until 2pm daily. Relax either inside or at the outdoor tables and enjoy a wide selection of New Zealand wines and beer on tap with a meal, or perhaps one of their famous coffees. The cafe also houses a library full of good books to delve into over a cup of coffee. 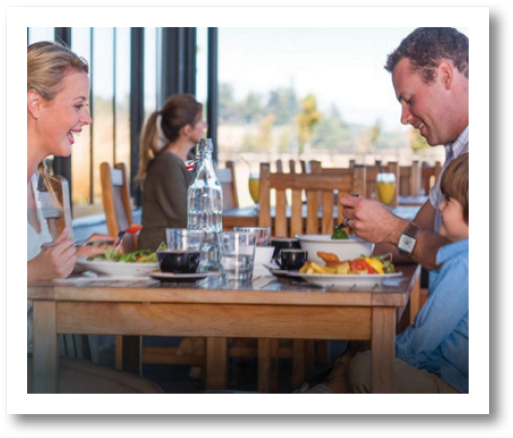 At the gateway of the Waipara Wine Region on State Highway 1, 40 minutes from Christchurch, Pukeko Junction is a perfect stop on your way to Hanmer or Kaikoura. 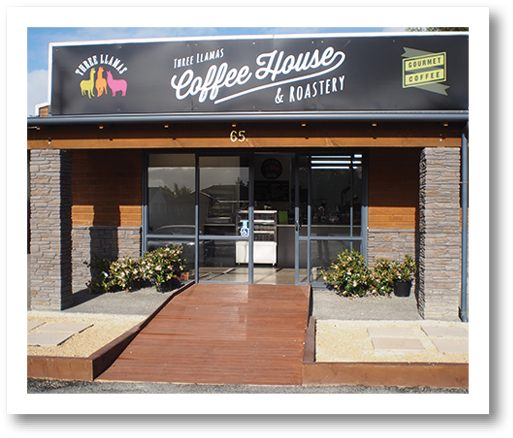 The popular, multiple award winning Café offers excellent coffee, gourmet country styled food, breads, tarts, fresh salads and cakes. Enjoy hearty breakfasts, generous lunches, morning and afternoon teas indoors or outdoors. 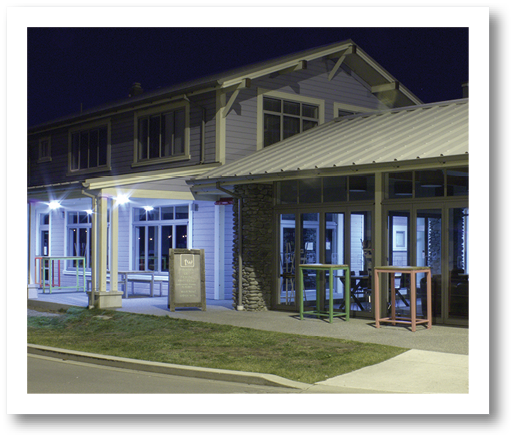 With the largest selection of premium and boutique Waipara Valley wines, the Wine Shop and Gallery offers friendly local knowledge, and an eclectic mix of art, gifts, jewellery and gourmet essentials. Reality Bites and F.O.D are café’s with a conscience using only the freshest responsibly sourced ingredients which are crafted into the most delicious dishes. And their baristas serve the very best coffee. 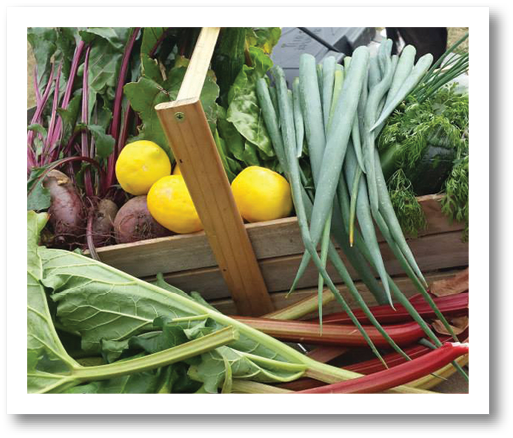 We focus on local, organic and seasonal food and drink. F.O.D is licensed. Open Mon-Thurs 8am-4.30pm, Fri 8am-8pm, Sat 8am-7pm, Sun 8am-5.30pm. 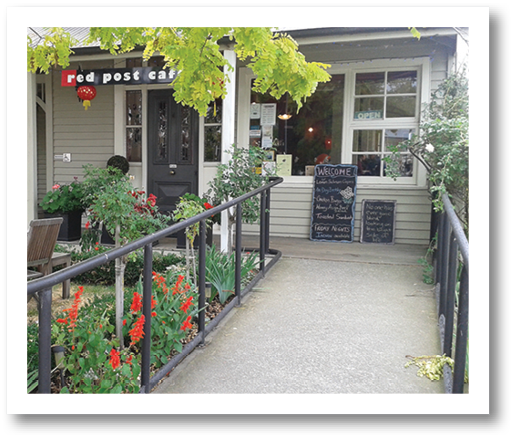 ​A picturesque restored villa in Culverden is home to the Red Post Café, an inviting place to stop for lunch, a snack, great coffee or an evening meal. We are fully licensed and offer everything from muffins and scones, cakes and slices, light lunches, blackboard menu, vegetarian and gluten-free options and a children’s menu. Inspiring tastes and treasures are to be found at Route 72 Café Bar Emporium. The flavoursome menu caters for gluten free and vegetarians and offers a unique selection of healthy, wholesome and high-quality meals. Beautifully presented, you have the choice of adding meats of your choosing. ​Accompanying wines are local with house wines from the Torlesse Winery in the Waipara valley. Exquisite vista views from the upstairs dining room showcase the beautiful inland scenic Route 72. ​The Bunker Cafe & Bar at Pegasus Golf & Sports Club offers a cosy atmosphere, good food and superb service in a picturesque setting. This is a favourite place for rounding off a game with a cold drink, a spot of lunch, chatting over coffee, or an excellent evening out. It’s also just a short walk from the heart of Pegasus Town and only minutes north of Christchurch. With an in-house event management team, The Bunker Cafe & Bar is a versatile venue for exceptional functions and events at any time of the year. At Three Llamas our coffee proudly comes from a mountainous region in Northern Perú, recognised for its exceptional quality and distinctive coffee. Our coffee selection is so good it doesn’t need to be blended with coffees from other countries. That’s right, we don’t do blends; no confusion, just the finest Arabica coffee. Come in and enjoy an excellent espresso, grab a bite to eat and buy your choice of freshly roasted specialty coffee beans from our wide selection ...you may even be able to watch us when we are roasting!